Fans want to see the Arsenal man’s suspension overturned for crunch game. 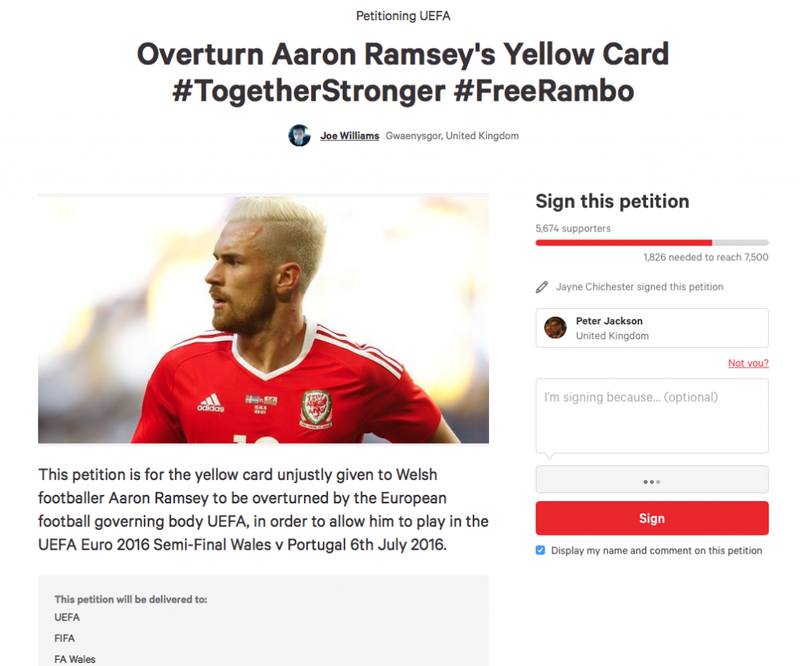 A petition set up to persuade UEFA to overturn the yellow card Aaron Ramsey received during Wales’ 3-1 victory over Belgium at Euro 2016 has gathered pace with nearly 6,000 supporters signing the online document. Red Dragons fan Joe Williams put the petition together on Change.org in a bid to get Ramsey’s booking overturned, in order to allow him to play in Wales’ crunch semi-final tie with Portugal. The Arsenal star was booked for a deliberate hand ball during their victory over Belgum and, as a result of a booking picked up during the group phase, will now miss his national side’s first ever appearance in the final four of a major tournament. UEFA has faced plenty of criticism from fans and pundits alike for the current format, which means bookings picked up in the group stage are not wiped off once teams progress to the knockout section of the competition. Ramsey has picked up two yellow cards in five games, in a statistic that only serves to highlight how harsh his suspension from tonight’s Portugal encounter will be. Williams will still be hoping his petition prompts a late change of heart though with the Change.org campaign attracting widespread media attention and some 5,674 signatures and counting. 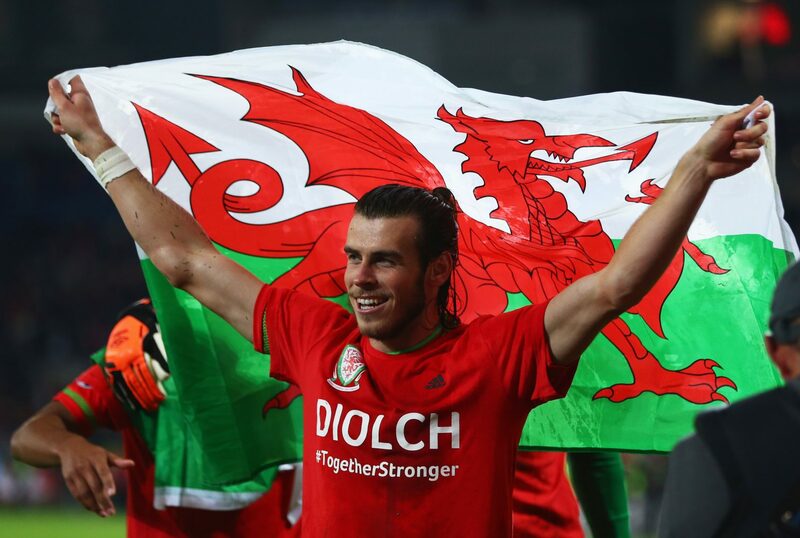 With only 1,826 more needed to reach the petition’s target, fans and neutrals alike are being encouraged to sign, with signatures set to be delivered to UEFA, FIFA and the Welsh FA. And while Ramsey’s fate may already, unfortunately, be sealed, the show of support could at least ensure no other players suffer a similar fate at future international tournaments. You can show your support for the cause here.